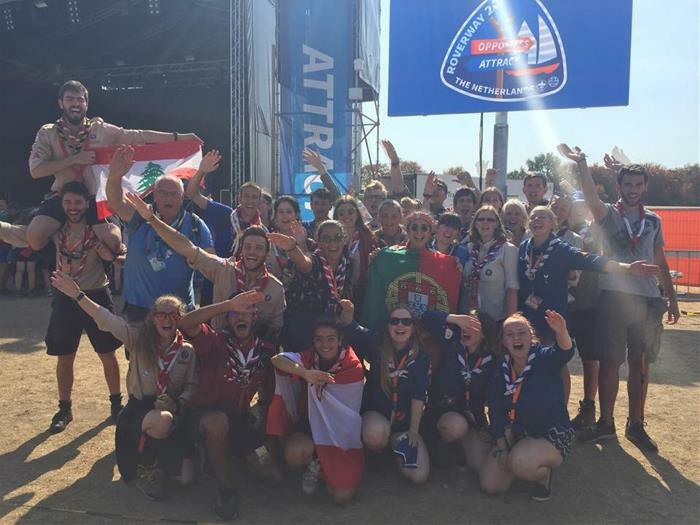 Over the summer a group of Explorers and Network members from Hereford and Worcester took part in Roverway, an international camp in the Netherlands. William Hawkins, a Network member from Kidderminster joined them. Here is what he had to say about this exciting adventure. Overall, Roverway 2018 in the Netherlands was an amazing and incredible experience, which I think would be incredibly hard to beat personally. 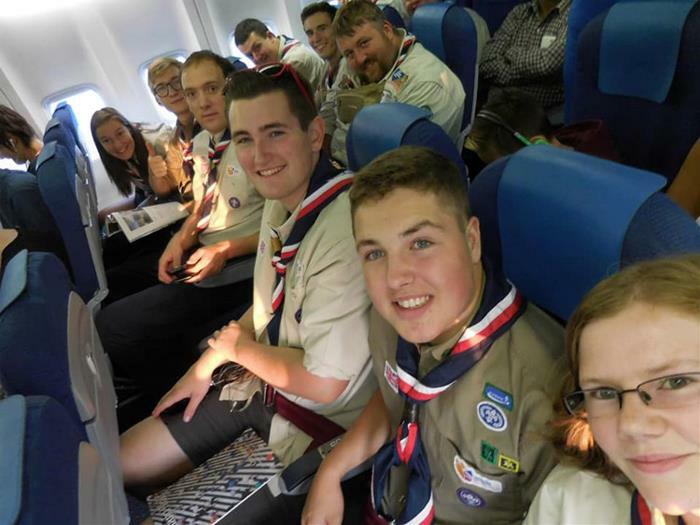 The first two days of the trip were organised by the UK Contingent CMT, where we spent two days in Amsterdam prior to Roverway itself. These two days were spent exploring the city of Amsterdam, as well as taking part in a Monopoly Run. The CMT also organised a trip to a “Hipster BBQ” at the end of the last day, where the UK Contingent spent time playing beach volleyball, doing escape-room style games, and of course, eating lots of food. 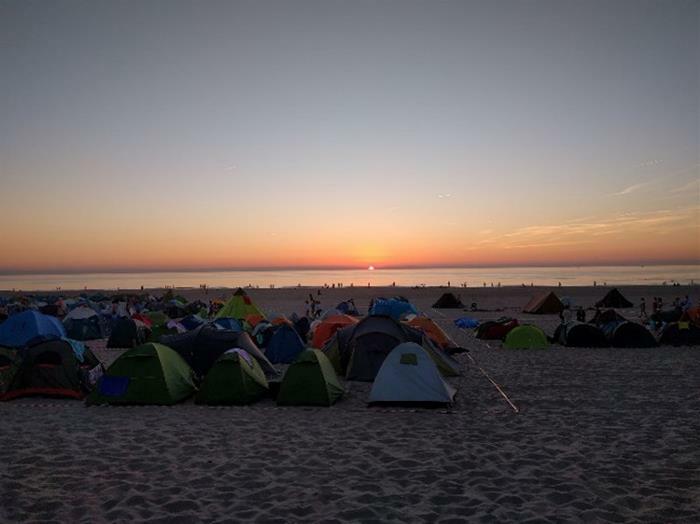 The opening ceremony for Roverway 2018 took place on a beach in the Hague. It was a unique experience where all the contingents came together for the first time, as we split off into our paths, with whom we’d spend the rest of Roverway camping. It was an incredibly fun time meeting random people from another nation on the beach and ending up playing beach volleyball or frisbee golf with them. After the ceremony took place, there was a large party, and most of our path spent the evening socialising and trading badges. The next couple of days were spent on our path down in Maastricht and mainly Heerlen, where we were shown everything to do with Carnivale as well as the culture and heritage of the local areas. Things we did included the storage warehouses for Carnivale floats, having a tour of a local brewery which is popular with the Carnivale, stayed at a Yacht Club along a canal, visited the highest point in the Netherlands, and also tried lots of Limburg pie. The final day on our path was spent having a large cultural BBQ with different foods from each nation (but mainly food for dessert). The main campsite was a lot different to everyone meeting on the beach in the Hague. Each path had their own camping section so that you could stay with who you’d just spent the past couple of days with, instead of just people from your own contingent. There was also a wide array of activities to take part in on the two activity days, ranging from sailing and canoeing, to clog painting and playing samba music. In the night-time there were party tents such as the German tent and the Rainbow Café, which you would hear until 2am. 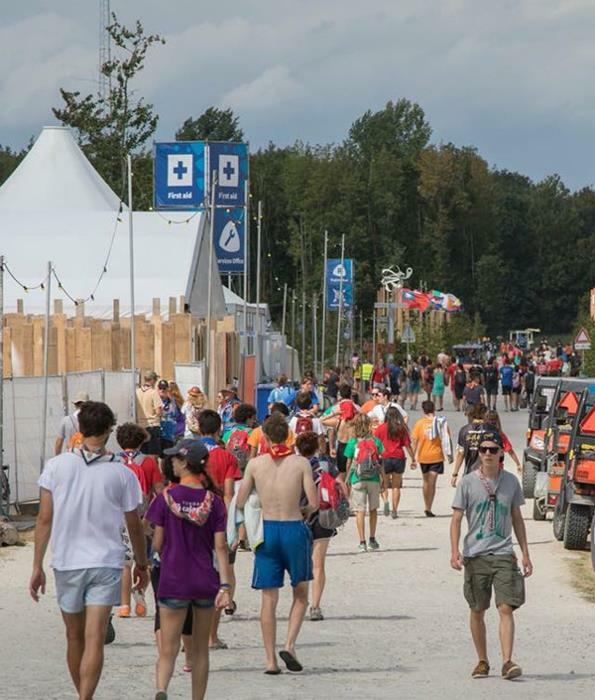 Overall, I’d extremely recommend attending an international event such as Roverway, it was an unforgettable experience for me and the people were the most amazing part of it. Roverway really gave me a huge boost to my confidence in socialising with others, as well as giving me the desire to visit as many countries as possible in my life.